More on the Wholesale Interiors Set of Two Clear Acrylic Side Chairs (Clear) CC-231-CLEAR below. 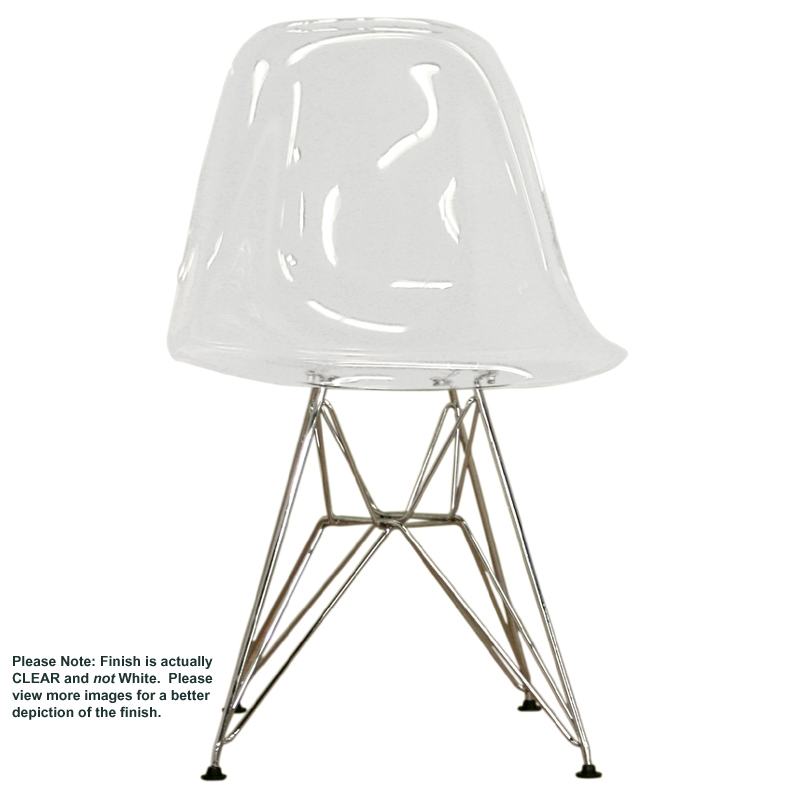 Wholesale Interior's Clear Acrylic Side Chairs are constructed with chrome steel and feature an ergonomically sculpted back. 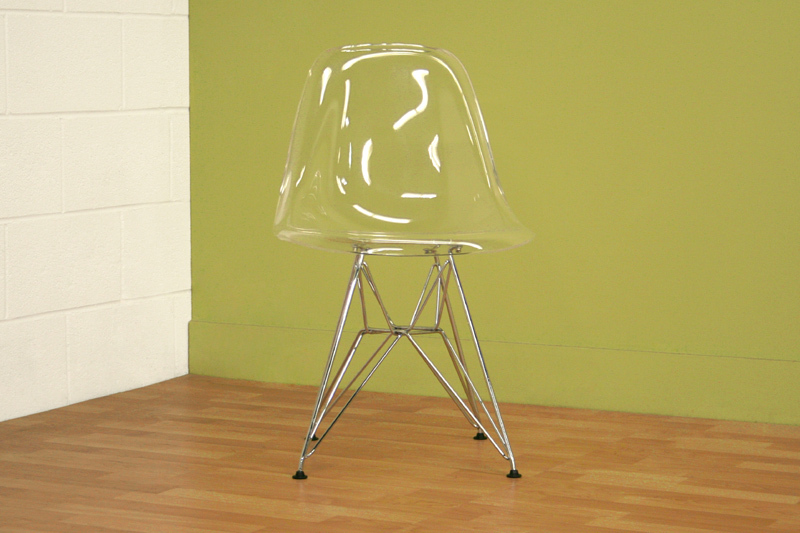 Chrome steel wire base construction.